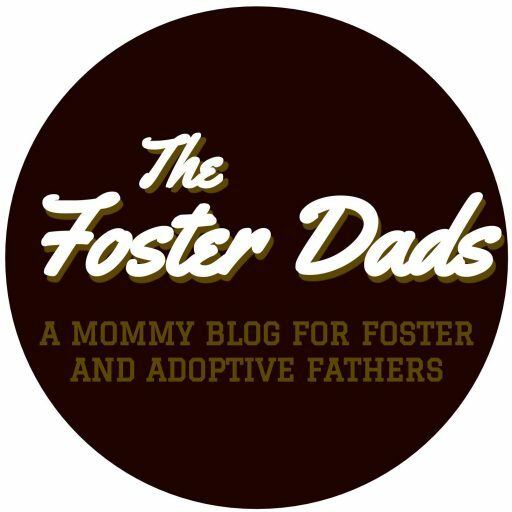 My son joined my family when he was thirteen years old, and thankfully, because this is The Foster Dads, I don’t have to explain how that works for once. Since he quite obviously wasn’t a baby, I didn’t have the conventional means of attaching to him that most parents have with their infant children, meaning I had to be inventive about how I went about building a bond with my new child. In the first few months, there were various things we did together to develop our relationship, but nothing that stuck for too long. That is, until a seemingly inconsequential conversation we had about six months in. Although I was initially hesitant about walking barefoot down our gravel road only to get to the park’s gravel walking trail, I agreed, since I’m always game for free, non-electronic activities we can do together. Surprisingly, the experience was actually somewhat pleasant. There were certainly steps here and there that hurt like hell, but there was also something special about spending this time with my son doing something primitive like walking around outside without shoes. (After all, the human foot was created to trek across the earth uncovered.) When we got home after three or four laps around the half-mile trail, our feet were sore, but strangely our hearts were full. When I came home from work the next day, my son met me in his bare feet, asking if I would go with him for another walk. So we did, that day and most days from then on. Along with countless laps around our park, we’ve hiked multiple state parks, and even as I write this we have just completed a barefoot hike up a mountain in Pennsylvania. My son’s ultimate goal is for us to hike the entire Appalachian Trail barefoot after he graduates from high school. We’ll see about that one. I had no idea that barefoot hiking would become our “thing”, but I’m glad it did. When we’re out walking together, we rarely, if ever, have any arguments. Instead, we have some of our best moments. We were walking in the park the first time he referred to my wife and me as his mom and dad instead of just some general parental figures. Our walks are the times when we dream about his future and talk about faith. Sometimes we don’t even talk about anything of substance; we just enjoy spending time together. It’s always special. Remember the story of Moses and the burning bush? If you don’t, that’s a bummer, because I’m not going to take the time to flesh out the whole thing for you. When Moses encountered the presence of God in the burning bush, he was instructed to remove the sandals from his feet, since he was standing on sacred ground. This same kind of thing happens other places in the Bible, and even in the worship practices of other religions as well. For whatever reason, there’s something sacred about the bare sole making contact with the bare earth. I don’t mean to sound hippy-dippy or suggest that our barefoot hiking is some holier-than-thou religious act, but, that being said, I do believe that it is sacred. It’s sacred because parenting (and, I believe, adoptive parenting in particular) is sacred. It’s sacred because parent-child connections are sacred. It’s sacred because any sidewalk, hiking trail, or carpet I traverse alongside my son is sacred ground. The feeling of grass, rocks, and dirt beneath my feet is a reminder of that. Foster/adoptive parenting, like barefoot hiking, has disparate terrains. Some days are like a peaceful stroll on cool grass or warm moss, while others are like struggling across jagged rocks. There are moments when you wonder if your life can get any better than this, and moments when you feel like you can’t take another step. Sometimes it all feels okay for now, but you can’t stop worrying about what you’ll find at the top of the next hill. People will occasionally question what on earth you’re doing–“where are your shoes?” or “don’t you want kids of your own?”–but deep down you know that what you’re doing has to be worthwhile. All of it–every beautiful moment of connection with your child, every blister and stubbed toe, every hike you complete when you were convinced you couldn’t, every night you go to bed kicking yourself for your failures as a parent–all of it is sacred ground. It’s the small moments that change our world. Thank you. Absolutely! I considered calling this one “ordinary sacred ground” because a lot of times it really is just the ordinary stuff that means the most. Well said, Zach. What a shame it would be to waste opportunities to soak in those moments with our children. Not only does it afford us great joy, but reminds them how valuable they really are. Thank you! And I agree with you completely!